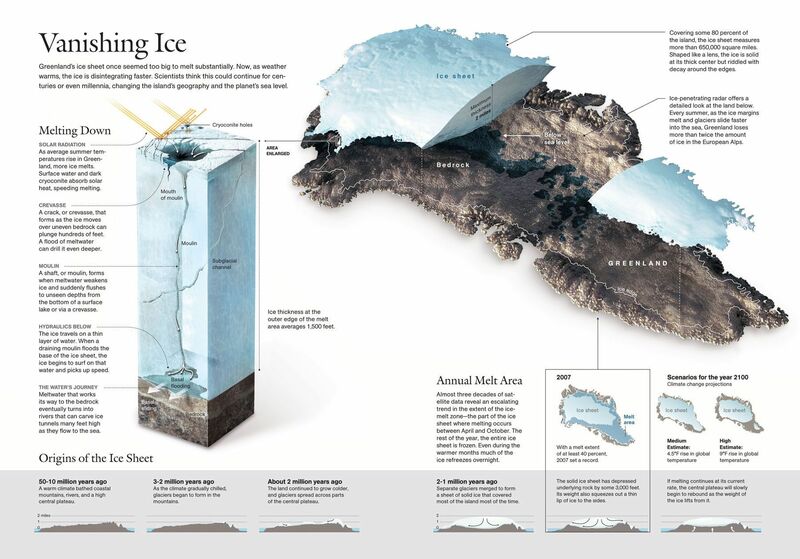 Graphic: Thickness and melt area of Greenland's ice sheet. The Greenland ice sheet has advanced and retreated many times over thousands of years. It is retreating—melting—more quickly now than ever in recorded history.